0 Comments Posted by Greystone Pet Hospital in Education on Tuesday, May 7th, 2013. 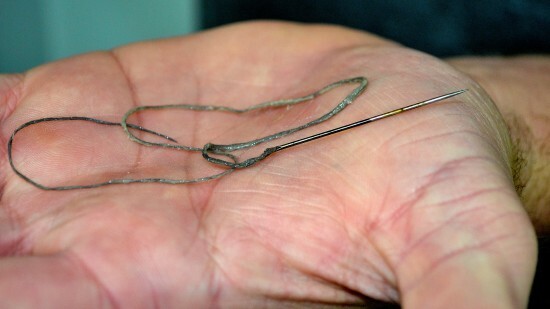 The foreign object lodged in our patient’s throat was indeed a sewing needle. 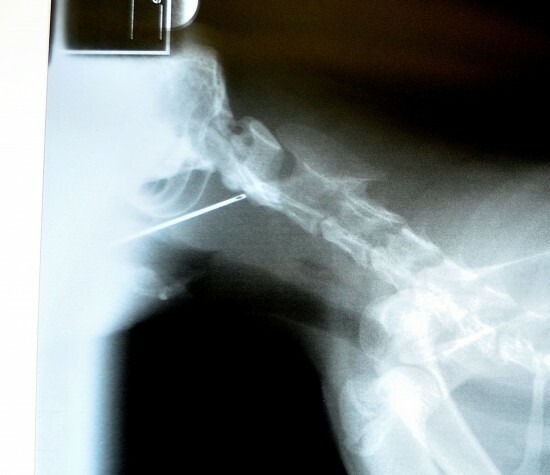 What you cannot see by the x-ray is the long thread attached (it can be viewed in the photos below.). 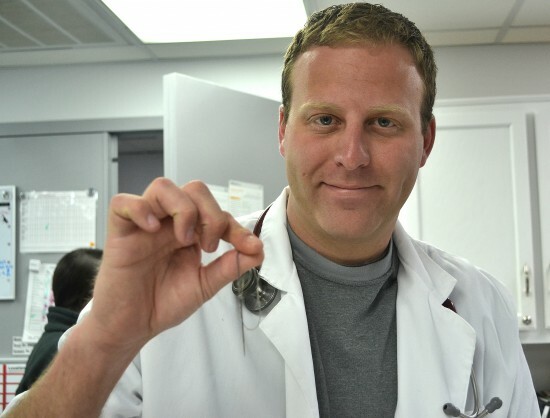 After taking our feline patient immediately to x-ray and the needle was discovered, Dr. Paxton worked quickly to remove it before further damage could be inflicted. 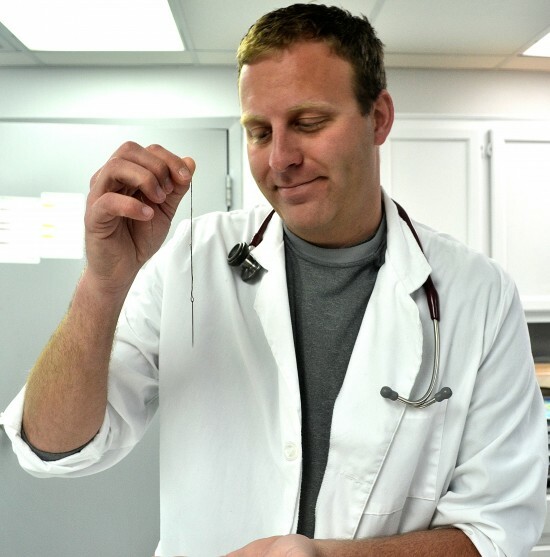 With the assistance of his technicians, intravenous sedation and a very long pair of hemostats, Dr. Paxton was able to carefully remove the sharp foreign body. The dangers he needed to avoid were puncturing the patient’s sinuses, arteries and/ or the cat’s brain/spinal cord. Our feline patient recovered, was placed on antibiotics and miraculously went home CURED the same day! Not all pets are as lucky. The important thing to learn from this instance is that cats like toys and string, so a sewing needle with thread attached is irresistible to young active pets! It is important to pay attention to what our pets have access to. Luckily, these owners were very attentive, and their quick response gave their cat the best shot at recovery. Greystone would like to thank the owners for allowing us to use this instance as an opportunity to educate on the dangers of pets ingesting foreign objects! « Greystone Caters to Our Exotic Friends As Well!